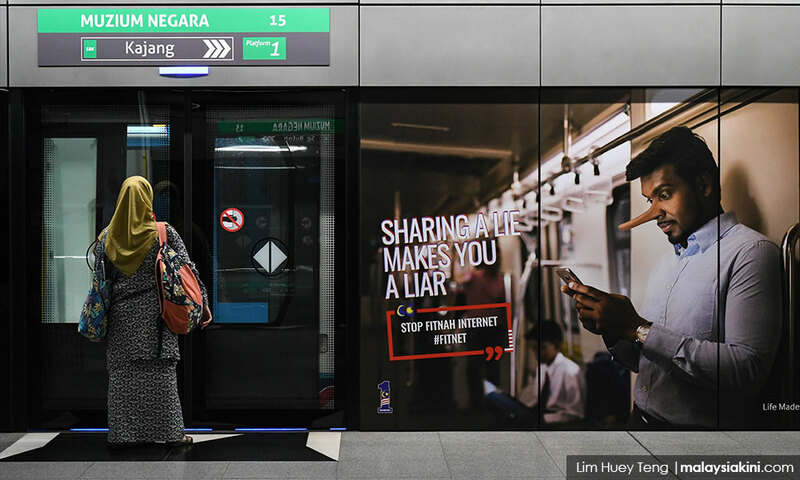 Journalist groups have urged the Pakatan Harapan government to comply with its manifesto pledge and take immediate steps to repeal the Anti-Fake News Act 2018 passed by the previous administration. The Centre for Independent Journalism (CIJ) and Institute of Journalists Malaysia (IOJ) made the call today after Prime Minister Dr Mahathir Mohamad said that what constitutes fake news will be redefined. CIJ, meanwhile, said the act was a blatant attempt to "stifle dissent and create a chilling effect amongst the public." The group added that the hastily passed law could not be rehabilitated in any way and must be completely repealed. 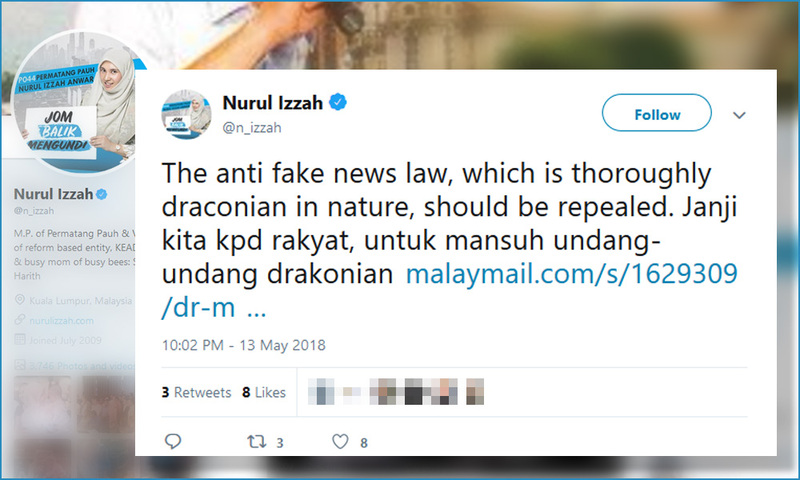 Taking to Twitter, PKR vice-president Nurul Izzah Anwar also reemphasised the "draconian" nature of the act. "The anti-fake news law, which is thoroughly draconian in nature, should be repealed. 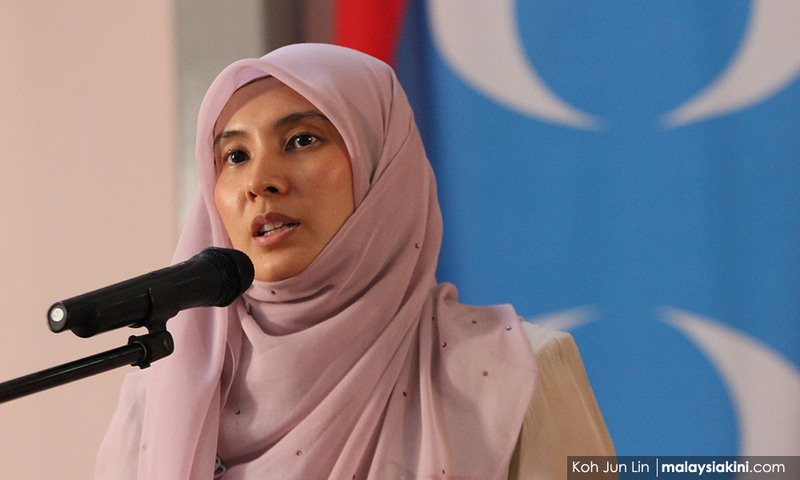 We have promised the rakyat to abolish draconian laws," she tweeted. In its statement, CIJ said it was “alarmed and deeply concerned” at Mahathir's statement that fake news would only be redefined as opposed to having the entire legislation repealed. This, the group stressed, was in direct contradiction to Harapan’s manifesto pledge to abolish laws that repress media freedom and freedom of expression as a whole. These include the Anti-Fake News Act 2018, Sedition Act 1948, the Prevention of Crime Act 1959, the Universities and University Colleges Act 1971 and the National Security Council Act 2016. 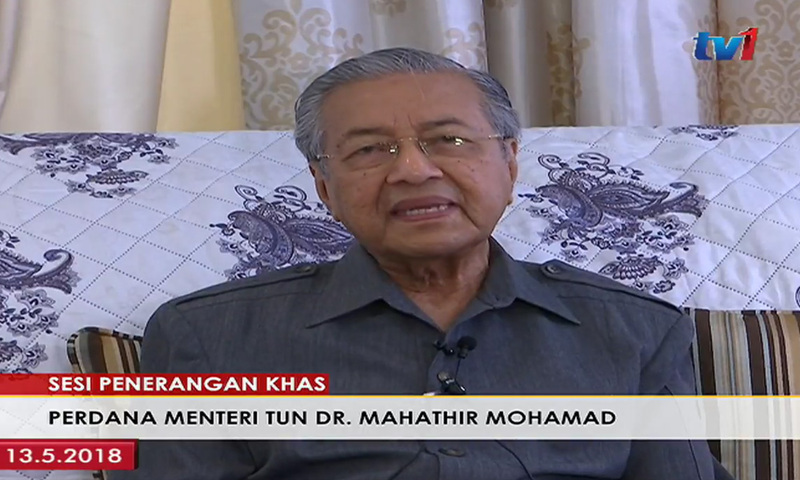 Though making no mention of repealing or amending any laws, Mahathir had said in a televised interview yesterday that action would be taken against those who published news that sought to instigate violence or chaos. CIJ noted, however, that there is no need for any fake news law to deal with such instances, as the Penal Code has adequate provisions to do so. “The government should be focusing on fulfilling its election pledges – to abolish AFN and to respect media independence by abolishing the Printing Presses and Publications Act 1984. “Freedom of expression and media freedom in Malaysia has been under threat for too long. This is not the time to prop up the relics of the previous administration that were used to silence its critics and to create a climate of fear. “This is the time for the government to demonstrate its respect for the rule of law and the fundamental liberties enshrined in our Federal Constitution,” the statement read. "We further urge Pakatan Harapan to follow through with its promise of setting up a media council led by industry stakeholders. "Discussions of a self-regulating entity for the media fraternity have been brewing for years, with numerous false starts and blocks along the way. "We hope this time real action will be taken to set up an independent self-regulating mechanism for the press,” it said. Earlier today, Malaysiakini’s constitutional challenge against the Anti-Fake News Act was objected to by the Attorney-General’s Chambers.